The world of dentistry continues to advance at a rapid pace. If you have visited a Fishers dentist in the past few years, you have probably noticed the things that make your visit more comfortable, such as the ability to watch TV or listen to music while receiving treatment. Many Fishers sedation dentistry patients welcome oral conscious sedation to reduce or eliminate pain. What may not be as obvious are the advances in techniques, tools and materials. 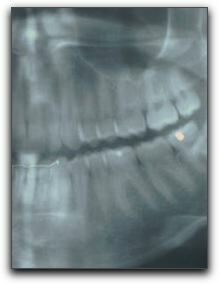 Top Fishers dentists now use digital computer imaging which is safer than traditional x-rays. Dental technicians can store, retrieve and transmit digital images much easier than was possible with traditional x-ray film. The use of lasers has also changed the face of dentistry. Laser surgery requires less anesthesia, minimizes swelling, and protects surrounding tissue. Fishers family dentistry offices use lasers for detecting and treating cavities and dental technicians use them for the curing of restorative materials. Another exciting development in cosmetic dentistry is the CAD-CAM technology that allows Fishers cosmetic dentists to perform restorations in a single visit. The types of procedures that can be completed in one visit include crowns, fillings, inlays, onlays and porcelain veneers. 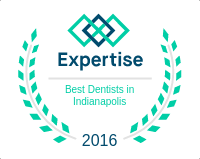 If you need a thorough exam or want to improve your smile with cosmetic dentistry, call Dental Care Today at 317-842-2337 to schedule a consultation. During your consultation, you can see before and after photos of some of our smile makeover clients. We would love to help you achieve the smile you have always wanted, and we have the tools, experience and technology to make that happen.